Explore public service career fields, talk with national and local employers and connect with industry professionals at the free open house. 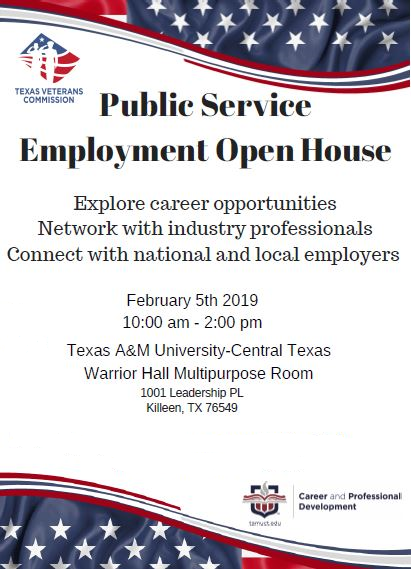 February 5, 2019, from 10 am to 2 pm at Texas A&M University in Killeen, 1001 Leadership Place. Come to the Warrior Hall multipurpose room. It’s FREE!